Are you planning a trip to Florence, Italy this year? If so, you have come to the right place. Today, we are going to learn more about this amazing city and what it can offer you! 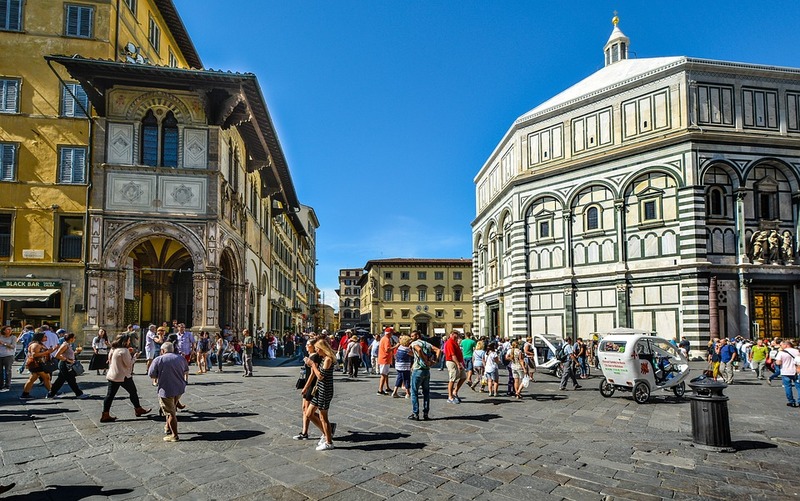 As you may already know, Florence is a very romantic location that has beautiful architecture and some of the finest restaurants in the world. So, let’s learn more about it, shall we? Are you wondering what to see in Florence but you have no idea where to get started? This is a common problem that most people have when visiting this amazing city. But there is no need to pull your hair out trying to find exciting places to see here. Instead of going it alone in Florence, why not hire a tour guide? There are many local guides that can show you around the city. The best part is these guides will have local knowledge that you will never find in any guidebook. So, after you have booked your airline tickets, make sure to go ahead and set up a tour of this truly stunning city. You will be glad that you did! While you are walking around Florence and taking in all of the sights, you are going to work up a huge appetite. But instead of looking for a fast food restaurant which you probably will have a hard time finding here, why not eat like a local? There are many small mom and pop restaurants located around the city. These tiny eateries and street side carts have some of the best food in the entire region! One food stop that you should definitely try out is Trattoria Sostanza. This restaurant has been open since the year 1869 and is still going strong! While most tourists don’t know about this wonderful place to eat, the locals flock here every time the doors open. One of the best dishes that this fabulous eatery serves is Pollo al burro or butter chicken. As you know, Florence is known for its fine cuisine. So why not take the opportunity to learn how to cook some of that amazing food while you are there? Taking a cooking class is a fun way to pass the time and you just might learn something you can bring home. Cooking classes are offered all over the city so finding one that meets your needs won’t be difficult. For a small fee, a professional chef will teach you how to prepare a local dish, and the best part is you will be able to eat it when the class is over with! Florence is one of the best cities in the world and as you can see, it has a lot to offer. So, if you are lucky enough to visit this place, make sure that you get a local guide to show you around. Also, while you are in the city, enjoy some of the smaller local eateries that litter the streets. You won’t find many of these dishes anywhere else in the world.